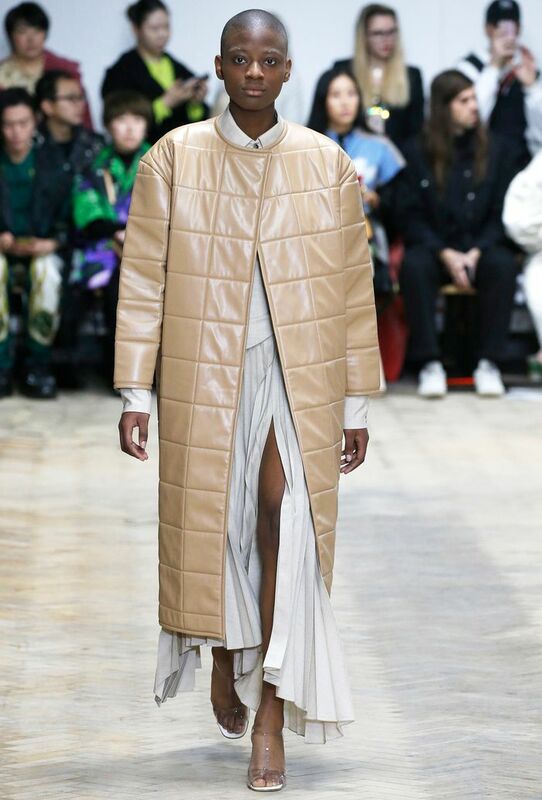 Three days into London Fashion Week, it was clear that there's one outfit that'll reign next winter: beige coats blended with other neutral layers. Looking around, it seems like every guest at London Fashion Week has already got this memo. In my six years of attending fashion week, I've never seen so many editors and influencers get behind one trend. One designer told Who What Wear UK yesterday that the reason this trend is going to stick around—and is proving quite so popular—is because it is a colour that's universally flattering. And looking at the dozens of tonal outfits around me at the shows, I've realised that once you can get past the risk of coffee spillages, this is an easy look to assemble. Anything beige, tan, white and grey works together, and looks really considered. Pernille Teisbaek took a more casual approach to the trend, wearing a pair of grey jeans with an oatmeal jumper and boxy blazer, while French influencer Deborah Reyner Sebag went for a more corporate approach with her Frankie Shop skirt suit. Keep scrolling to see the all-beige outfits that are inspiring us this fashion week. At A.W.A.K.E, a buttery puffer coat was layered over a soft grey pleated skirt. A beige and brown trench at Toga. Camel trouser suit at Preen by Thornton Bregazzi. Style Notes: Deborah Reyner Sebag's belted skirt suit is from the Frankie Shop. We love how it looks with white boots. Style Notes: Lisa Aiken wears beige joggers, a white blazer from Joseph and her husband's jumper wrapped around her shoulders. Style Notes: Hannah Lewis's beige boot-and-trouser combo looks really chic. Style Notes: For extra warmth, layer a beige roll-neck underneath your white shirt. Style Notes: Pernille wears a grey blazer and jeans with an oatmeal-coloured knit. Style Notes: Lindsey from Ropes of Holland wears a quilted bomber jacket from the Frankie Shop with a tan handbag by Chloé. Style Notes: Bettina Looney wears a camel coat over a tan trouser suit with gold-chain jewellery. Next up, see more of the best street style from London Fashion Week.